When a tragedy such as a fire or a flood rips through your business, it can cause tremendous damage to your building, productivity time and can damage your inventory as well. Beyond the damage to your building, you could be facing thousands of dollars in ancillary damages, which can create a devastating blow to your business. Kelley Klean is a full-service restoration company that can take on all types of contents cleaning projects. From removing smoke odors and cleaning your inventory, to de-odorizing your office furniture, we can handle it all. If you are interested in learning more about our commercial contents cleaning services and residential contents cleaning or would like to speak with one of our estimators for a quote, give us a call at 573-214-0990. 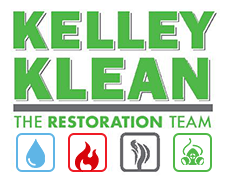 When you choose Kelley Klean, you are not only pulling upon our 30 years of experience, but you are choosing a company that is well networked into the restoration community. This means that regardless of your unique situation, we can provide you the right solution for your contents cleaning. When our technicians arrive, they will analyze the situation, and begin the contents cleaning process in order to get you back up and running again. Record Inventory: During this step, our main goal is to create documentation of the contents that were damaged. We will also take a detailed list of items that are not salvageable if applicable. Most of the time, we can salvage your items, but in the rare case we cannot, proper communication will be made, and the items will be responsibly disposed of. In addition, we will document the item and send the final list to both you and your insurance company so that they can add the loss to the final claim. However, the remaining contents that can be restored will be documented with photos and organized with a traceable number to ensure those contents return to their original spot after the off-site cleaning process. Remove Contents: Since contents cleaning occurs off-site, once all salvageable items have been checked and inventoried, our technicians will carefully load the items in our truck and safely transport them to the off-site cleaning location. We also ensure each item is secured appropriately to avoid any damage during the transport. At Kelley Klean, we acknowledge these items are important to your business. Many times, they are inventory items that need to be restored to a safe and useable condition. Once the truck reaches the facility, each individual item will be handled carefully; keeping them organized as they are transported to the cleaning stations. There, they will be cleaned, deodorized and returned to their original state. Clean & Deodorize Contents: Each affected item will be handled with care. Before the cleaning process begins, our cleaning technicians will consider the material type, construction, and if the item is delicate, notes will be taken in order to ensure contents are handled appropriately. Using equipment such as Ozone machines, ultrasonic cleaning equipment, and other specialized tools, we are able to match the correct equipment to the type of items we are restoring for your business. Our equipment and tools eliminate hand-washing and cut down on cleaning times by up to 75%. Not only will your contents be gently handled, but you will get them back within a shorter period of time. Replace Contents: When the contents cleaning and the deodorizing process is finished, our technicians will match the inventory list with the cleaned items in order to make sure each item is accounted for. Once all items have been matched, we will gently pack your items and return them to your home. If you have experienced a fire, water loss or mold damage to your business, chances are the contents in the affected area are at risk, and need to be cleaned. We have found in commercial buildings the stakes can be high because contents can include office cubicles, inventory or even sensitive paper documents that cannot be destroyed. If you experienced a property loss to your business, and need the contents restored, give us a call at 573-214-0990!